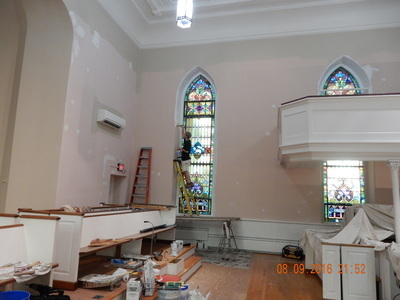 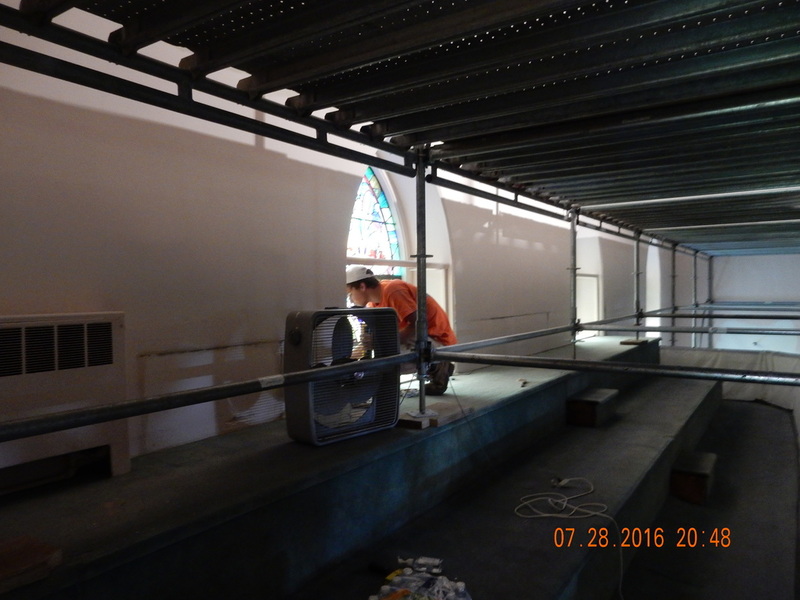 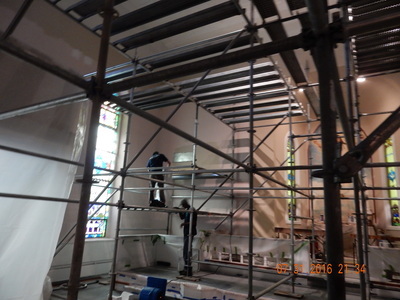 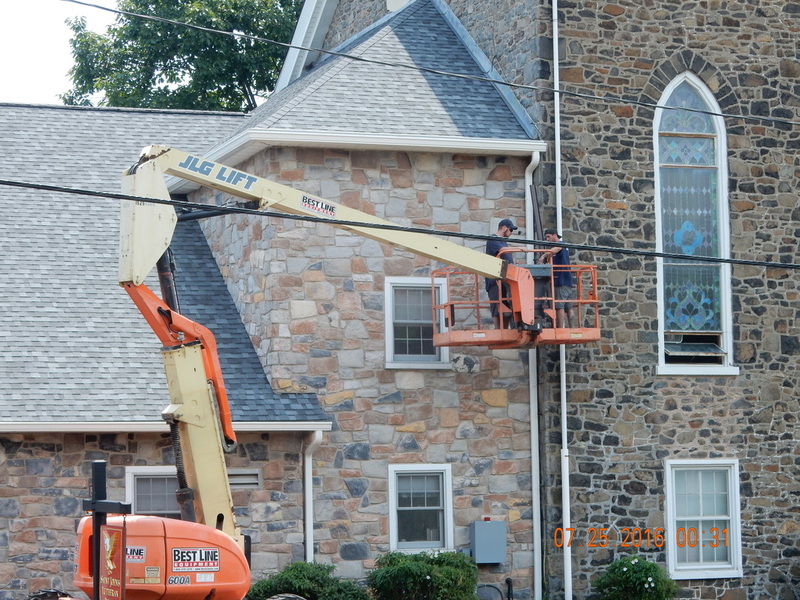 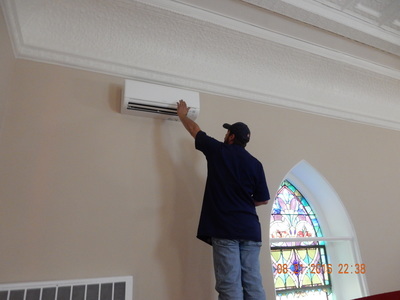 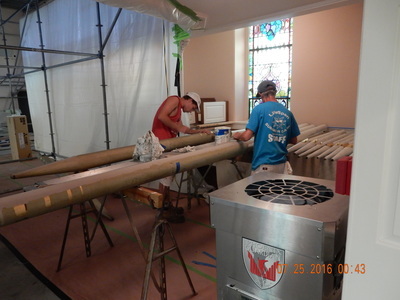 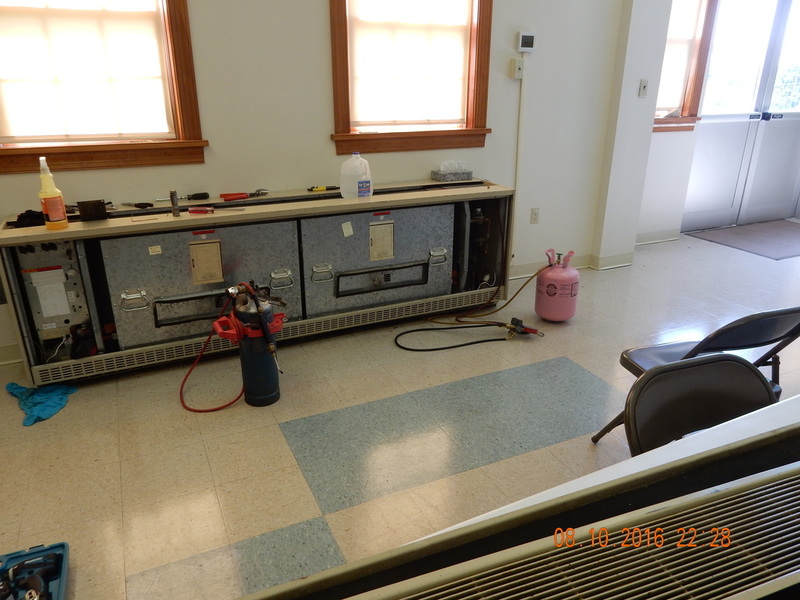 ​This set of photos include workers from A & S HVAC installing the new AC / Heat Pump system in the sanctuary. 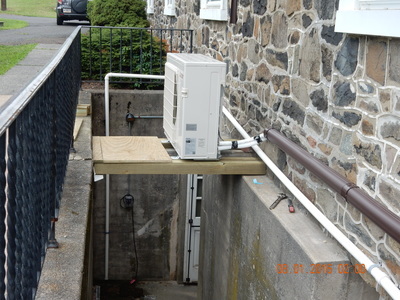 Four outdoor units were needed to power the eight indoor units. 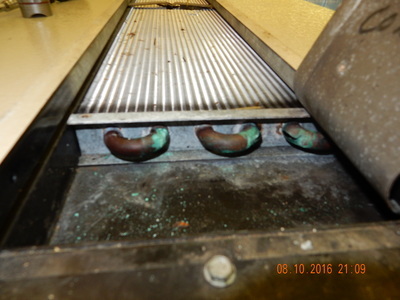 Special order brown covers were ordered to cover the line sets. 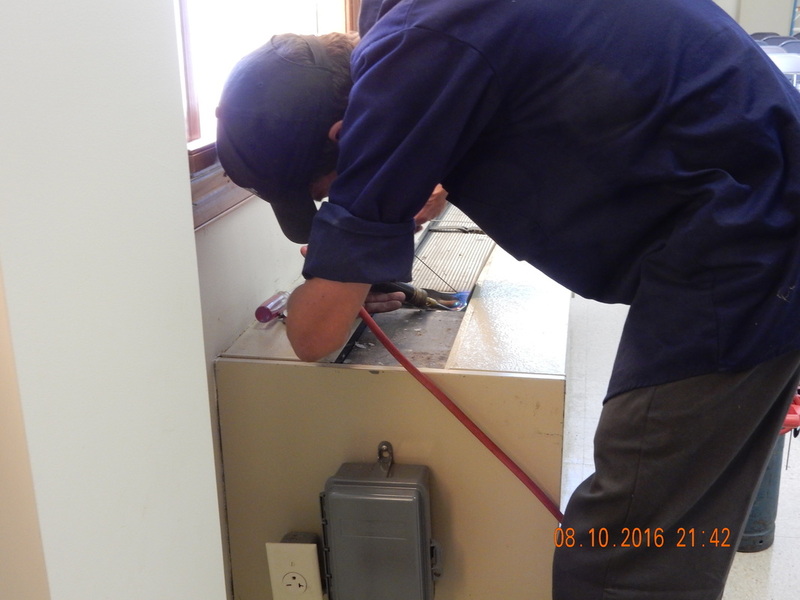 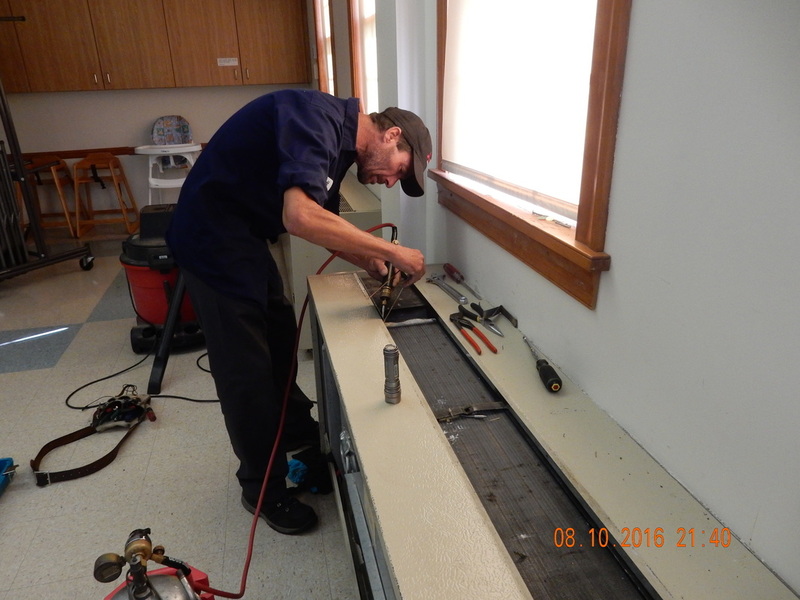 Scott from A & S HVAC doing final repairs to a coil that was frozen and split in several places. We now have all six units in the multi purpose room operational. 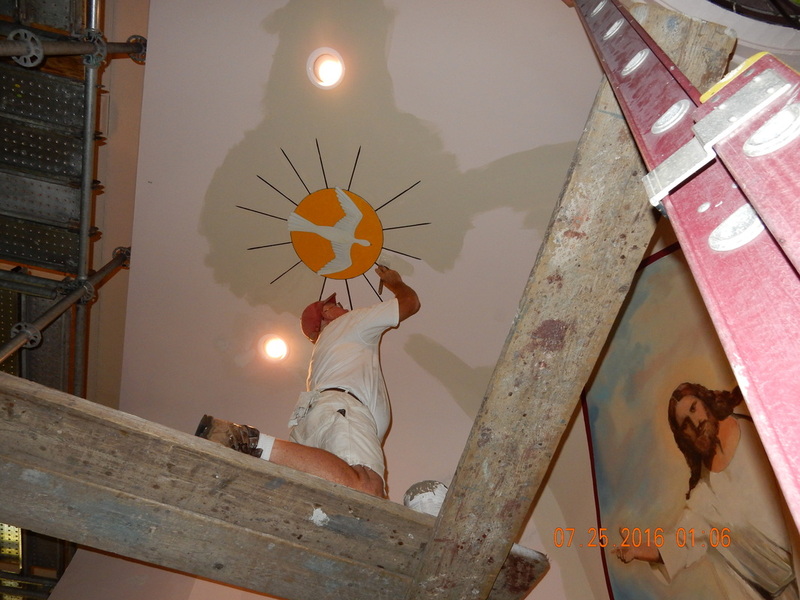 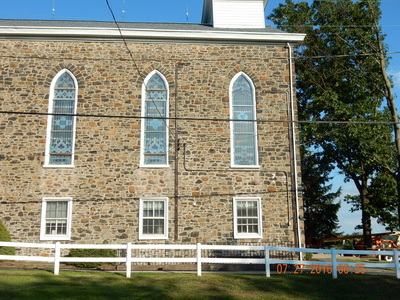 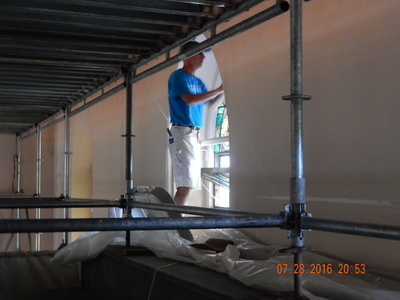 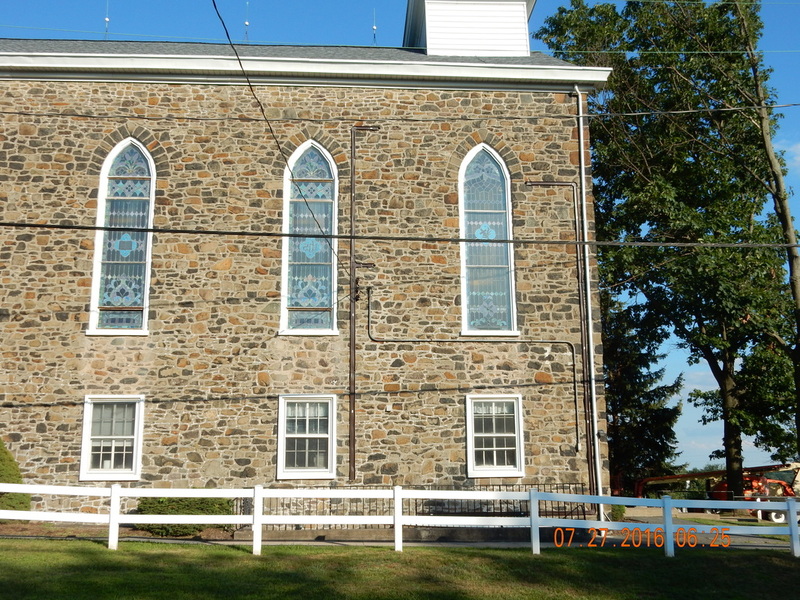 ​Jack Lamb and his crew, Joe, Bryce and Jack's son, have spent weeks repairing the walls and painting the ceiling, walls, wood work in the sanctuary, hall, stairs and foyer.